Rest up to 3:00 and repeat. Note: Today we are starting Week 2 of the Wendler Strength Series for the Thruster. The metabolic Concept2 Row and Burpee workout is a repeat from last week, however not many Athletes were able to complete the workout due to the power outage. How many Athletes can row a sub 1:45 and then achieve 15 or more Burpees on both rounds of the couplet? A rare photograph of PFC (Private First Class) Amundson with the ominous warrior SSG (Staff Sgt.) 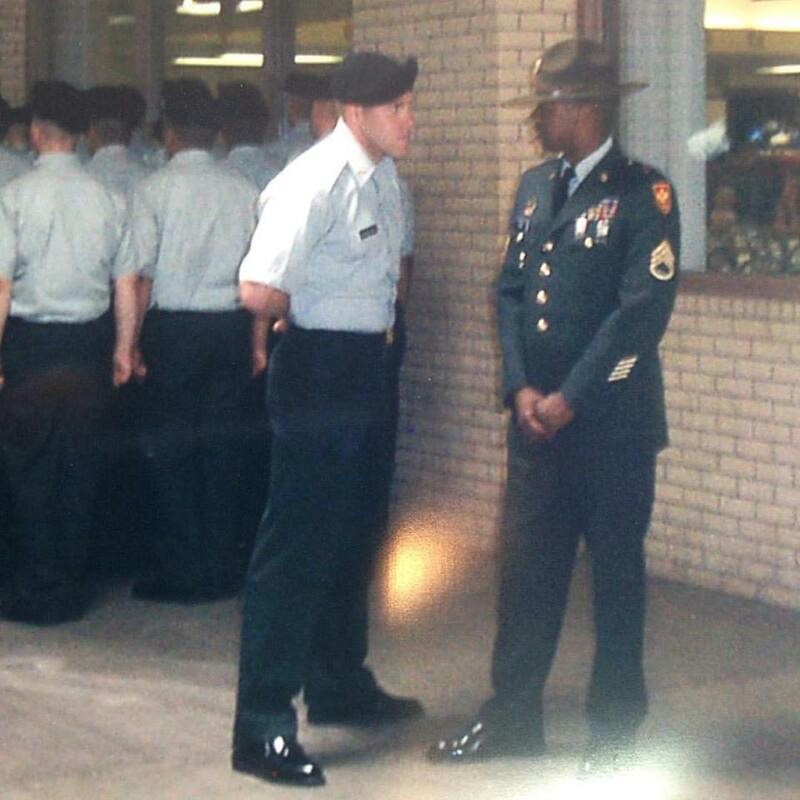 Oliver, Greg’s Senior Drill Instructor during US Army Basic Combat Training. Greg frequently references the amazing lessons and leadership that SSG Oliver provided for him over the duration of Greg’s military career. Even as a US Army Captain, Greg continued to reference and hold SSG Oliver in the highest regard as one of the greatest leaders he had ever met.